Q. What do I need to consider when choosing my new flooring? A. Important things to consider when choosing your new flooring include: how it’ll complement existing and perhaps future décor; the amount of wear and tear it’ll be subject to; how long you want it to last; how much you want to spend in total on flooring, underlay and fitting. We can help you choose. Q. Can I borrow samples? A. Yes, we always recommend that you borrow samples so that you can see carpets in the environment you’re planning to have them fitted, since natural and artificial lighting can have an impact on appearance. Limit yourself to half a dozen samples, split them up and view them individually in different areas of the room. Q. Does Avonvale Carpets provide a measuring service? A. Yes, we offer a free, no obligation measuring service that you can book for a time and day that’s convenient to you. We will accurately measure your rooms to ensure just the right amount of flooring is ordered, thereby minimising waste and assuring the best price for you. Q. Do I need underlay? A. Yes.You should always buy new underlay with a new carpet. To meet performance guarantees carpet manufacturers actually expect new underlay to be fitted. And there are just so many great benefits to be gained from modern underlay, read all about them on Avonvale Carpet’s Underlay page. Q. How long between placing my order and fitting? A. Since Avonvale Carpets only works with trusted, locally-based, professionally trained fitters, the length of time really depends on the time of year. At busier times like Christmas for example, the waiting time will be longer. As a general rule, however, there is typically 2-4 weeks between ordering and fitting. A. Yes, we require a 50% deposit in advance of ordering your carpet. The outstanding 50% is to be payable within 30 days of final fitting. Q. Do you take up and dispose of old carpets? A. Yes, this can be arranged for an additional cost. Q. Do you move furniture out of the way? A. Yes, this can be arranged for an additional cost, however, we are not able to move any expensive electrical items such as TVs, hi-fi or computers, or any items of a more personal nature. Q. How should I care for my new carpet? A. To keep your new carpet looking as good as it did the day it was fitted, all it needs is a little gentle care and attention. Avonvale Carpets recommends regular vacuuming, attending to spillages and periodic cleaning. To find out more please read Avonvale Carpet’s Carpet Care advice page. Q. What guarantees do you provide? 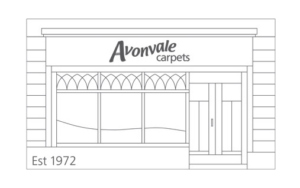 A. Avonvale Carpets’ quality flooring and fitting service is backed by our unique personal guarantee, making your purchase even easier and risk-free. To find out more visit our Personal Guarantee page. And if you have any other questions please just pop into the shop, or call us on 01225 427 057.We’ll be glad to provide you with the answers you need. These guys know what they’re talking about!Just had a substantial amount of work done to my house.Very good price (benchmarked against competition). Jim and his team so thoughtful.Fitters were a pleasure to have in the house according to my wife (they didn’t have the radio on…major bonus).The finishing on the stairs, halls and bedrooms is beautiful.I definitely recommend Avonvale.Very satisfied customer.